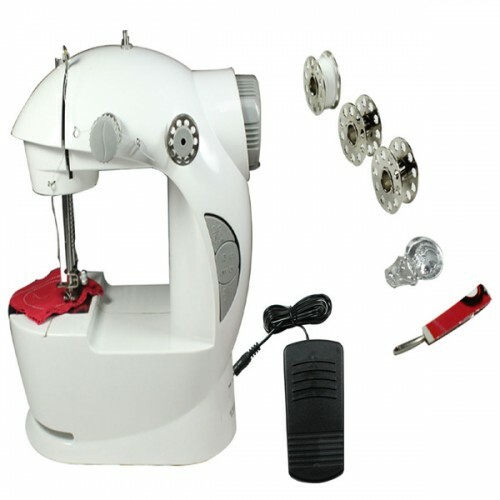 This sewing machine have many time-saving and creative features including fully automatic 1-step buttonholes, top drop-in bobbins, drop feed, and decorative stitches. Without the sewing machine, the world would be a very different place. Like the automobile, the cotton gin and countless other innovations from the past 300 years, the sewing machine takes something time-consuming and laborious and makes it fast and easy. With the invention of the mechanized sewing machine, manufacturers could suddenly produce piles of high-quality clothing at minimal expense. Because of this technology, the vast majority of people in the world can now afford the sort of sturdy, finely-stitched clothes that were a luxury only 200 years ago.